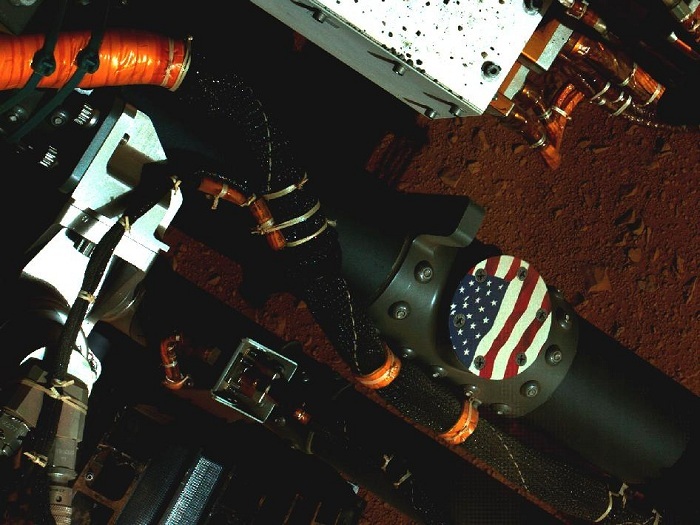 This view of the American flag medallion on NASA's Mars rover Curiosity was taken by the rover's Mars Hand Lens Imager (MAHLI) during the 44th Martian day, or sol, of Curiosity's work on Mars (Sept. 19, 2012). 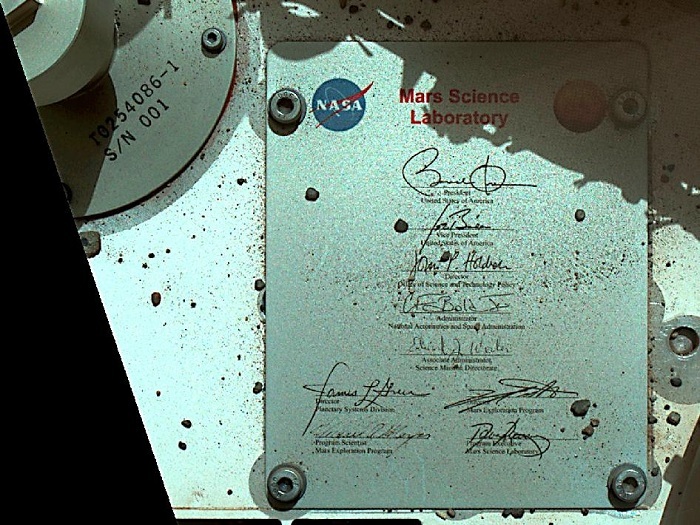 The flag is one of four "mobility logos" placed on the rover's mobility rocker arms. 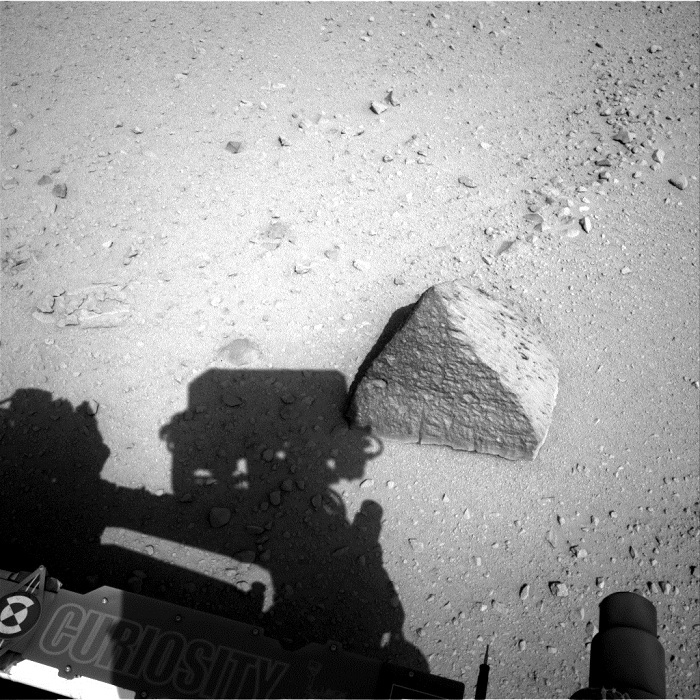 This image was taken by Navcam: Left A (NAV_LEFT_A) onboard NASA's Mars rover Curiosity on Sol 44 (2012-09-20 08:14:32 UTC) . 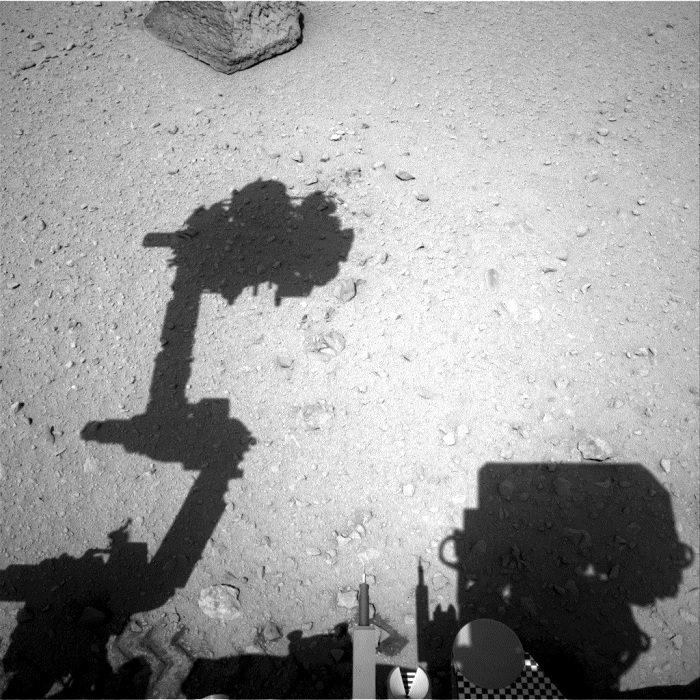 This image was taken by Navcam: Left A (NAV_LEFT_A) onboard NASA's Mars rover Curiosity on Sol 45 (2012-09-21 09:45:50 UTC) . 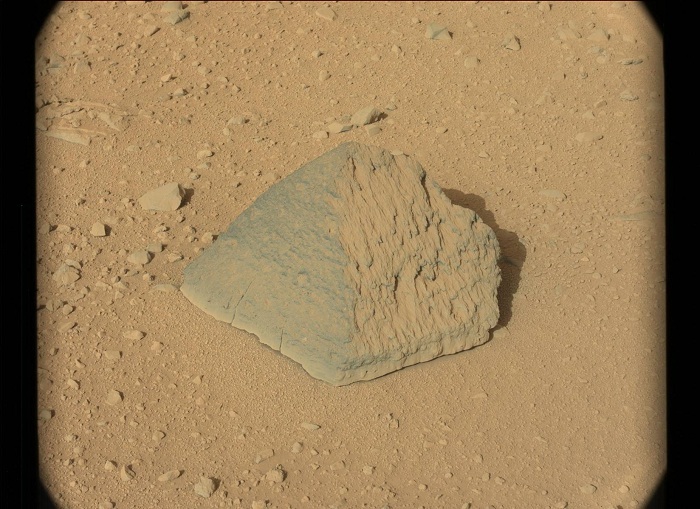 This image was taken by Mastcam: Left (MAST_LEFT) onboard NASA's Mars rover Curiosity on Sol 44 (2012-09-20 10:14:29 UTC) .